Did you know that the UK Premium Rate Services industry was worth £708.6 million in the financial year of 2016/17? With a whopping 22.7 million people using the services? As a result, in that year, each phone-paid service had an average of 3.6 million users and the typical revenue generated by service type was a juicy £39.4 million. Premium rate phone numbers aren’t just for big businesses, national broadcasters or well-known charities. Anyone can set up a premium rate, non-geographic phone number and benefit from the revenue either as a full-time business or as an additional revenue stream. Are you keen to get in on the action of this lucrative industry and buy premium rate numbers to then sell on? Or are you already an experienced re-seller looking to switch providers, then stay tuned. 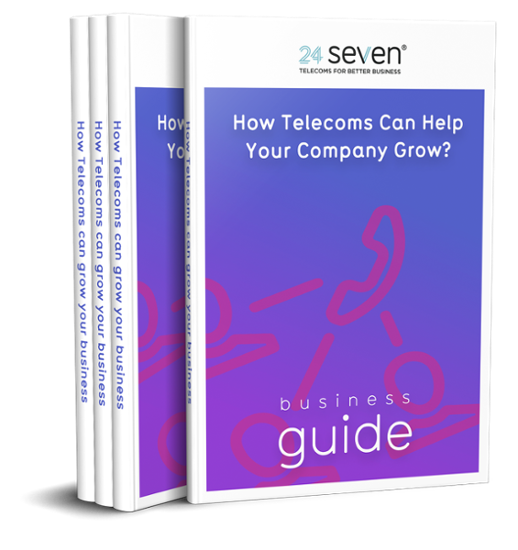 Here we detail the different uses of premium rate numbers, the important things to tell your clients and the top-notch reasons why so many re-sellers partner with 24 Seven. According to the UK regulator, the Phone-paid Services Authority (PSA), there are 18 different uses for premium rate numbers. Each provides a different service or digital content that is then recharged to a telephone bill either as a one-off fee or as a recurring subscription. Are you looking to resell premium rate numbers? Then this article is the perfect starting point to help you understand what kinds of services attract a regular supply of paying users and where you’re likely to find them. Premium rate numbers are revenue sharing numbers, meaning businesses and individuals can earn money from all incoming calls. When a user calls a premium rate phone number they’ll receive a total charge for the call on their telephone or mobile bill, or it’s debited from mobile credit. This charge is made up of two parts. First, is the access charge. This is how much the user’s phone company charges per minute to make calls to premium rate numbers. The second is the service charge, which is set by the provider of the service. Essentially, your clients make more money depending on how long the call is. As well as topping up income, premium rate numbers also help to present an official, memorable and recognisable brand or business image that appeals to consumers. The numbers aren’t location specific and are used by many well-known organisations. Premium rate numbers can also help to streamline enquiries. This is because only serious callers will be prepared to pay the higher rate. When you buy premium rate numbers to resell from 24 Seven you can pick from seven different prefix options: 0843, 0844, 0845, 0870, 0871, 0872 and 09. These are suitable for businesses and individuals and can be used for a premium support service. Your client can earn 2.5p per minute from incoming calls when using the non-geographic 0843, 0844 and 0845 numbers. Alternatively, for a higher rate, the 0870 and 0871 numbers will generate 6p per minute. Premium rate numbers starting with the 09 prefix return a much higher return. If you’re new to this business, then it’s worth noting that making money from premium rate numbers isn’t a giant free-for-all. The premium rate industry in the UK is closely regulated by Ofcom. Likewise the management of day-to-day operations assigned to PSA. As part of Ofcom’s policy, every premium rate number user must state the service charge in all marketing and advertising materials. They are obligated to make clear that an access charge applies. This will avoid irate users ranting about phone charges on their social media, clogging up your client’s customer service line or making a complaint about your client (and by association, about you) to the powers that be. When reselling a premium rate number, there are a number of steps for your client to follow to set up a new phone-paid service. There are only a handful of providers in the UK who have their own network and we’re one of them. This means there are no middlemen. We operate our own network so that when you buy from us, you speak directly to us and not a mountain of third parties. Therefore you’ll never have to experience the hassle of being passed from pillar to post trying to speak to the relevant person again. Furthermore our robust network is managed 24/7 using the latest technology. It has a 99.99% uptime and is interconnected with worldwide tier one carriers. Every customer can log onto 24 Seven Live, our easy-to-use dashboard. For instance it enables resellers to see at a glance which of their clients is generating traffic at that particular moment. As a result it builds reports so you can see the success of marketing campaigns using specific numbers. Additionally it is available on both desktop and mobile. The portal also analyses call traffic by member of staff so, as a result, you can reward your top earners. Finally – can’t sleep and fancy checking your account at 4am? That’s no problem, as our customers have full access any time of the day – or night. Our resellers’ clients can log in to their own dedicated account, therefore see the resellers’ branding and logo. This is a great option if you’re building up a brand or already have an established presence in the market. In other words, your clients will never know about 24 Seven, as your brand is all they’ll see. 24 Seven has a long heritage in the telecoms industry thus is well-trusted and highly respected. Selling premium rate numbers is what we’re renowned for. You can take a look at our glowing customer reviews on Trustpilot here. Our rates are highly competitive in the market. Likewise the cost of premium rate phone numbers is still affordable and attractive to your clients. As a result, you can choose what kind of premium rate phone number you would like. Such as a bronze number starting from £2 per month, up to a £50 monthly platinum option where you can select a bespoke combination of digits. 24 Seven has been offering premium rate numbers to our reseller partners since 2002. In summary, earning money from incoming calls is an effortless and time-tested method to boost revenues. Additionally many businesses and individuals are in the market to purchase their own revenue share number. As a reseller, now is the time to buy premium rate numbers from 24 Seven and consequently cashing in on that demand.